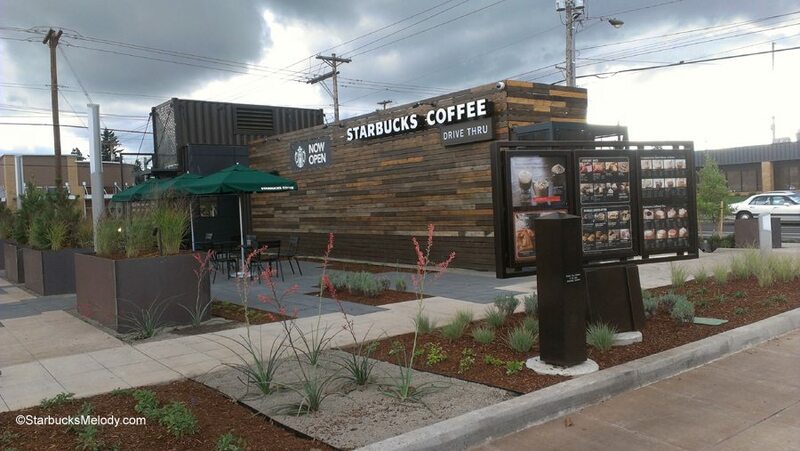 Starbucks opened its first “shipping container” Starbucks in Portland, Oregon on September 18, 2013. This is only the second “shipping container” store that I have been to. 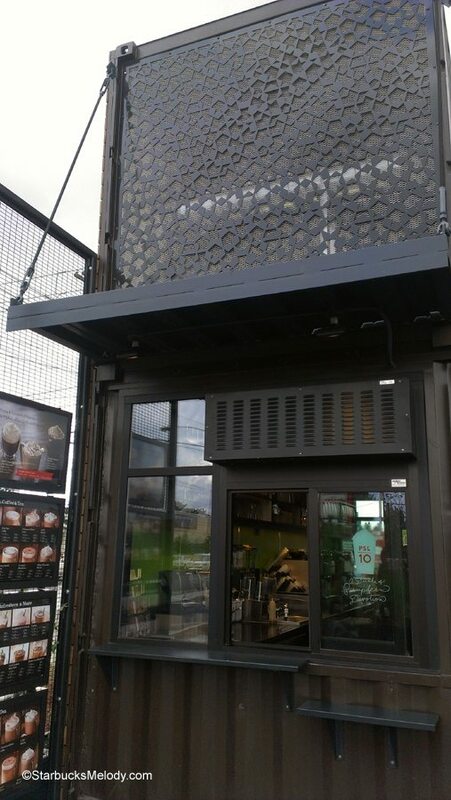 These compact drive thru locations are literally built from used shipping containers. It makes for a unique style, and very worth taking a few pictures of! 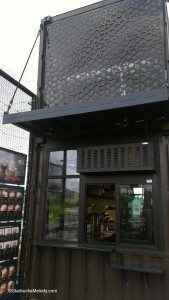 From what I can see, all the shipping container Starbucks stores have both a drive thru, as well as a walk up window too, and then some kind of patio seating. 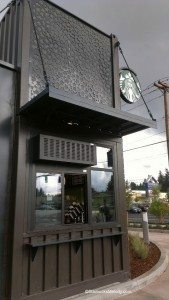 The first “shipping container” Starbucks opened up on December 13, 2011, just outside of Seattle. Starbucks also opened a shipping container Starbucks in Denver, in October last year. As I understand it, there currently is a shipping container Starbucks under construction in Chicago. 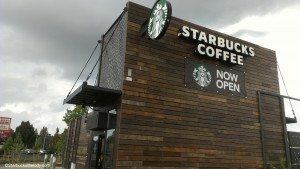 And, I thought I had heard gossip about shipping container Starbucks in Virginia Beach, as well as Kansas City. The new Portland shipping container Starbucks is located at 122nd and Halsey. The exact address is 1510 NE 122nd, Portland, Oregon. The phone number is (503) 253 – 3576. What do you think of these new shipping container concept stores? Simply beautiful. Like the design. How much property is this store on? I continue to find it so interesting as to where they are putting these new style of stores. Around here I think it might be difficult to find a space for this kind of store but it sure would be nice. Was there a SB on this site already? I would have loved to work in a store like that when I was a partner! I think the idea of reusing the shipping containers is awesome. One of my favorite restaurants in Austin, TX is also made from them and it lends to some pretty unique looks. @Purple1 and Zach – This one is pretty! 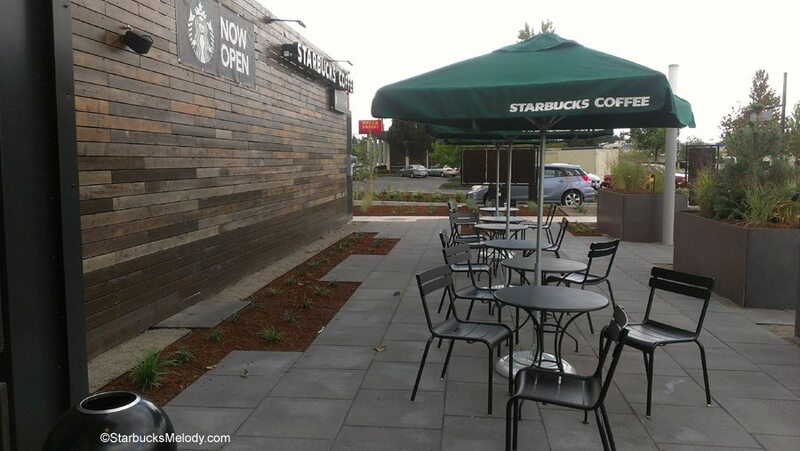 I can imagine it would be fun to work in a very novel and interesting Starbucks. People will come ooh and aah at your store. Though I wonder if these partners miss having retail and merch to sell – and they probably don’t really sell very much whole bean either. I am very curious to see the interior of this or other Sarbucks’ shipping container stores. Any more photos to share ?? I think they’re a great concept and would also love to see pictures of the inside. My family and I will be trekking up that way next week, first time heading north of our CA border. 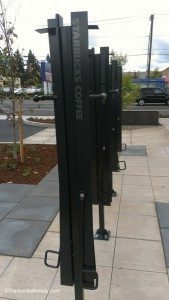 Looking forward to Oregon’s beauty, VooDoo donuts (a friend said I must visit) and now the shipping container Starbucks. I love the Shipping container Starbucks store design. It fits so well with the Siren logo and with the overall seafaring Seattle theme. The design is very appealing and gives the store an overall unique rustic charm. I’ve been to the Seattle Shipping Container store and really enjoyed the interior, with its recycled tables and wall art from ships. 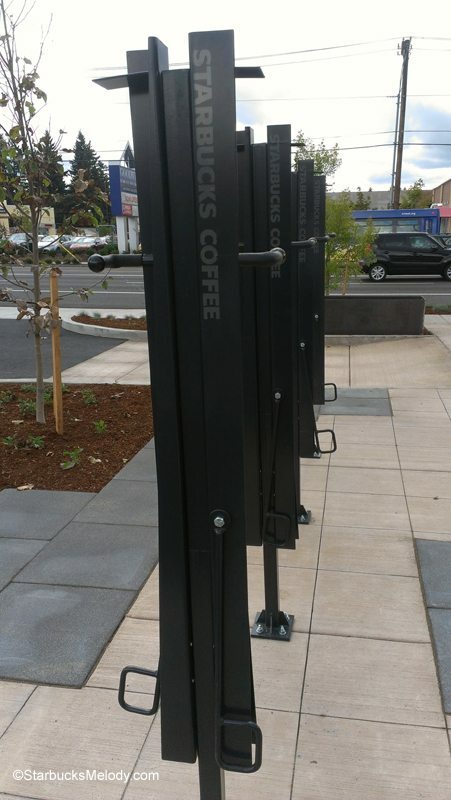 I hope future Starbucks will follow this design. Quick Jeff, check it out in case Melody has to take it down! (I know we can take pictures of the outside, but I am unsure how the photo policy applies to the “inside.”) Inside view of the Container store in Thornton, Colorado. Shelving on the right holds whole bean coffee and supplies. There is a gap in the middle that leads to storage and work space in the perpendicular container. Work space appears to be 4 mats wide. I love the idea and concept of repurposing shipping containers and being green, and find these to be so cool looking. I did expect there to have been more of these by now, and am curious as to why not (logistics?). Wonder how partners like working these locations, compared to a regular one. Seems like it’d be a lot easier, with less headaches. I read this post yesterday and happened to drive past the location in Virginia Beach today! It was near the waterfront, on Virginia Beach Blvd by London Bridge. It looked similar to the one above, but it is wood and stone. I like the concept and I love the way they look. So many great comments! I am sorry that I haven’t replied sooner. I’m glad others find this to be a fun kind of store design too! Thank you everyone. If there are any partners reading this who are working inside one of the shipping container stores, I would love to hear how you like it as compared to a lobby/cafe or any other Starbucks location. Kudos for these stores. Wish more 4restaurants would do things like this. I call it something from nothing. These stores look very cool. I look forward to checking out Chicago or KC next time I am in one of those cities. What a fantastic way to recycle and be creative with building materials! Wow…I’m amazed they made something so cool out of shipping containers. I really hope that other companies follow this fad, as it will definitely help with the environment. Plus, they really do look kinda cool. These stores are so beautiful! I don’t think I’d want to work in one though, they seem small and I assume they’d lack storage. The store I work in is 16 years old and the space is tight. Think about all the products we’ve added in 16 years, they all need to find homes…. As per Starbucks norm, environmentally smart!!! This is the coolest Starbucks I have ever seen. I would love to work at this location!! 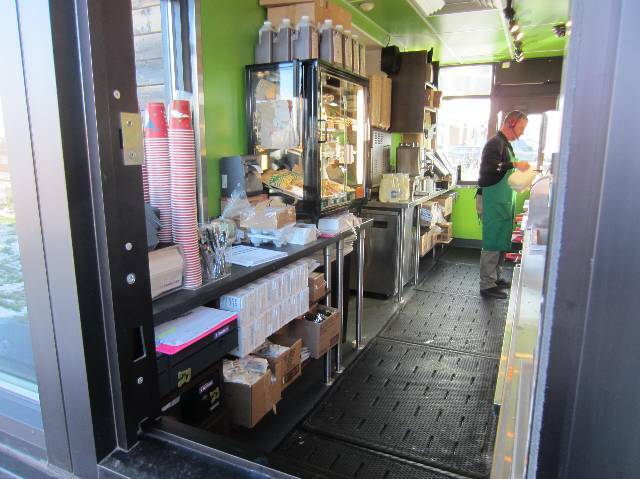 I love my Starbucks, but nothing beats a shipping container! I am all over those, even for housing! Thanks for posting this. I went to one recently in Salt Lake City, where I just moved, and I didn’t know it was a shipping container! It was really cool to look at and I just thought it was a new design. Very interesting! Does anyone know who the architect, designer, builder, contractor was on this project, please? I’d also be very interested in knowing who the GC was and more specifically the structural engineer was for this/these projects.